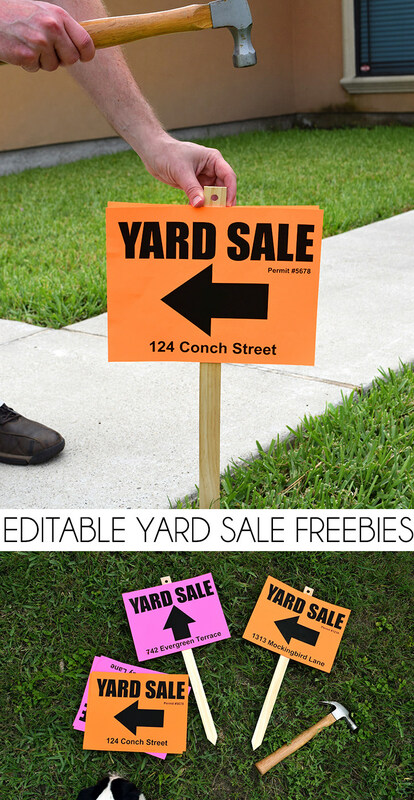 Well, it’s definitely yard sale season around here so these Printable Yard Sale Sign Freebies could come in handy if you’re planning to clear out some things you don’t need anymore. Plus, they’re editable to add your address. They also have 3 different arrows to help customers find you.